Scottish Justice on TRAIL OF PA103 OR SHOULD THAT BE TRIAL | SNinternational. 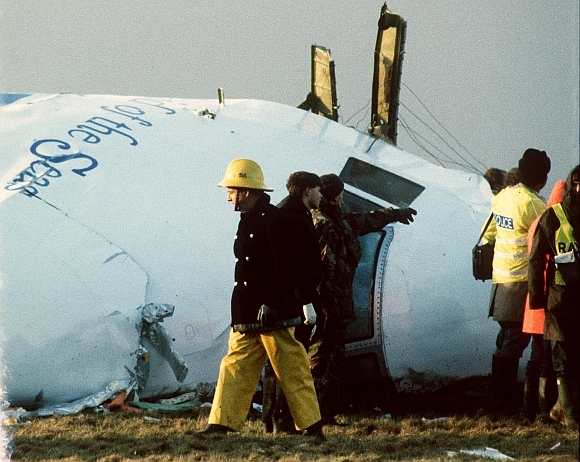 This December will mark the 25th anniversary of the Pan Am 103 bombing over the Scottish town of LOCKERBIE. The event became known as the Lockerbie Disaster and for the last two and a half decades that is just what it has been regarding Scottish Justice. Well over a decade, nearly two decades, a trial was finally arranged to take place in the Netherlands. The location a former U.S. Base of Kamp Van Zeist. The late Colonel Muammer Gaddafi was convinced to release to the Scottish Court the two Libyans indicted by U.S.A. And U.K. Governments judicial departments back in 1991. The Libyans had pointed out a fair trial could not take place in U.S.A and they were concerned about the U.K. But a jurisdiction would have it the plane fell in Scotland and so it had the right to hold those responsible to trial. Shortly after the event the Libyans had a challenge to this under the Montreal Convension which suggested that in the case of international carriers if there was some crime comitted against an aircraft the trial can take place either where the event happened or if those accused had concerns about fair judicial pracitces they could have a trial in their own country with judges from where the crime took place or the country of the ownership of the plane. This case was spun out by the U.S.A. For over fifteen years. There is a book in the machinations behind the scenes which allowed a trial to take place in the first place. The U.S.A. Government of the time did not really want a trial , rather they wanted to destabilise the Libyan regime. They also never expected a trial would take place or that Gaddafi would release the men to be tried. With some well known names and some unsung heroes behind the scenes after years of work the trial was set for the end of 2000. Interestingly the U.S. Government footed the bill for the remodelling of the Court House and the press centre and a series of rooms and a jail to hold the accused. Indeed much of the cost of this farce was funded by the U.S.A. While the crown office in Scotland made much over this interenationally important event. And many built careers on it, undeservedly. The accused were to be tried not by jury but by no less than five judges from the Scottish Bench. The trial lasted for many months and in the beginning of 2001 one of the most strange and bizarre judgements came out. The two who supposedly conspired to bring down PA 103 resulted in one not guilty result and one Guilty! Abdel Baset El Megrahi was found Guilty! Behind the scenes I know of one judge who had breakdown due to sending an innocent man to jail! He was a good honest judge with conscience. The U.N. Observer to the trial was Professor Hans Koechler, Austrian, who found the result BIZARRE AT BEST AND at worst criminal. The victims families and friends of course followed events closely and attended the trial daily in some cases. However, there was a distinct difference in their viewpoints the U.K. Families had open minds and were not convinced by the Crown Office case at all and Jim Swire, their spokesperson, who lost his daughter Flora, fainted as the judgement was given as guilty against the second man. 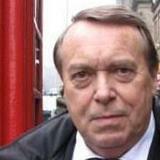 Many years later when Jim came for an interview to me in Edinburgh he told me his reasons for his fainting. In the years that followed after a failed Appeal, Jim Swire made contact with Megrahi and over time came to be certain of his innocence and has worked tirelessly to clear this man’s name. He has also been furious at the Crown Offices tactics to hide the truth. When Megrahi was released from Greenock Jail, on compassionate grounds due to his illhealth, it fell to Jim to defend this move as being correct even if it did not rectify the situation. Years after the failed appeal the Scottish Criminal Court Review Commission began to look at the Megrahi Case they had plenty of material to work with the submission to them was hundreds of pages in length and included extensive appendicies backing the evidence they had gleaned over the years. 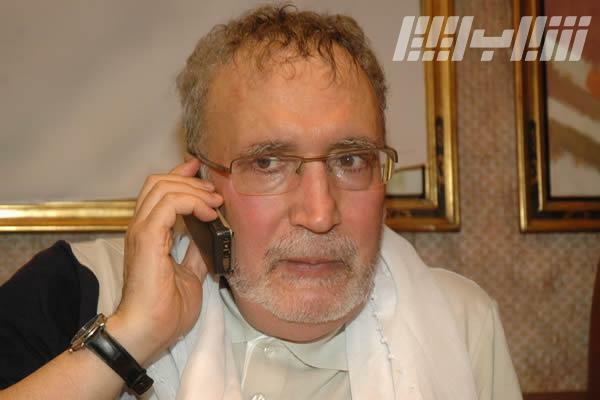 It took them much time but in the end they felt that Abedel ~Baset had not had a fair trial and that his human rights had been breached so they ordered another appeal. This got underway a short time prior to his release on compassionate grounds and was dropped on his release under questionable circumsatances. The first trance of the appeal alone cleared Megrahi had the judgements been written up. A delay due to a judge on the panel having a heart attack. Never got to first base as the compassionate release was signed up before. In 2012 Megrahi died from his illness in a war torn country destabilised again-possibly from outside the country- but before his demise Jim took the risk to visit Libya to see his friend, yes he became a friend to this amazing Doctor who has spent much of his life seeking the truth of who really murdered his Daughter. Just prior the trial I was on the trail of the truth of this event as I had spent two years on off researching what took place. The more I dug the more I realised this who thing was a fix. The more info I found the more I could not understand why governments both sides of the ‘Pond’ (Atlantic Ocean) of differing political parties were singing the same script. 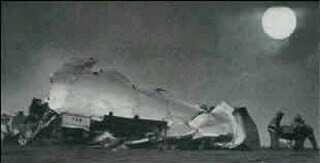 I began with the Air Accident Report . That surely was OK. However, after several close readings I began to piece together the picture it painted and it did not match eye witness accounts of the night in question. I then looked at many other official reports and began to piece together that event from the various sources. Over the years scores of interviews have peeled back layers of disinformation and slowly a clear picture began to emerge and it was nothing like what had taken place in the court evidence. There was a motely crew of prosecutions witnesses some who had been paid millions of dollars for their testimony. There was a spy a double agent, intelligence fingerprints all over the place. Even on the first night the CIA , MOSSAD, MI6 and others were crawling all over the scene ILLEGALLY removing evidence crucial to the case to hide the real perpetrators of this hienous crime. The more police I spoke to off the record the broader the picture I was able to gain of what was taking place. At that point I became a target and my phone was tapped by some intelligence group I even had a couple of times when I was followed!! Jim Swire too had this experience. Strange that those seeking true justice and truth end up as the targets instead of the intelligence people seeking the truth. MI5 claim they solved the case so do the CIA and the latter called the Scottish Police the PC McPlods were easily fed the script that those behind the scenes wanted.. The major has reflected on these words and thought maybe he said them to help him. It only added to the strangeness in the case. This event happened well before the trial. Edwin Bollier owner of MEBO and a staunch worker for the truth! There are several areas where it is clear the media have avoided probing this case were they warned off did they get threatened were some intimidated, who knows, but they did a poor job if you consider after five years of researching on and off in my spare time I began to piece together a picture of subtifuge, spooks, drugs illegal arms shipments and a host of players in the shadows and who knows who they were working for and who paid them. As the years passed the picture became clearer and more murky. One contact arranged a telephone interview with a CIA man who worked under the cover of a businessman in the middle east. He knew Libya had nothing to do with PA 103. He told some of the story to Fimah’s defence team – is that why he walked as they knew this deposition would become public in any appeal. The deposition was taken in a U.S.A. Court and therefore should be in the public domain but no less than twelve CIA lawyers demanded it be sealed for a century on grounds of national security and presidential concerns. This deposition did make its way to the SCCRC submission. There was also a former Department of State Lawyer who indeed was involved with writing the sanctions on Libya following the Lockerbie Disaster, and then once he found out this case was untrue he resigned. He gave me an interview by phone from his Ohio base and underlined that the case was never expected to come to court but once it did the whole evidence was cooked up to fit the case. The payment to the witness who supposedly picked out Megrahi strangely Fimah was never picked out at all! The piece of timer board introduced into the evidence chain. Even the public indictments were technically illegal both sides of the pond. Not only that smacked of farce after all if you are tracking a criminal of a hienous crime who is supposedly smart why would you annouce it on TV surely he would go so deep underground you would take decades to find him! This second info added to the discrepancies I had already found confirmed to me this case was not valid and that Abdel Baset El Megrahi was given a raw deal. It is strange that when I communicated some info to the crown office to the Lord Advocate Colin Boyd asking clarification within days he resigned from a post which has rarely been left in the last decades, except for retirement! COME BACK FOR PART 2 & 3.